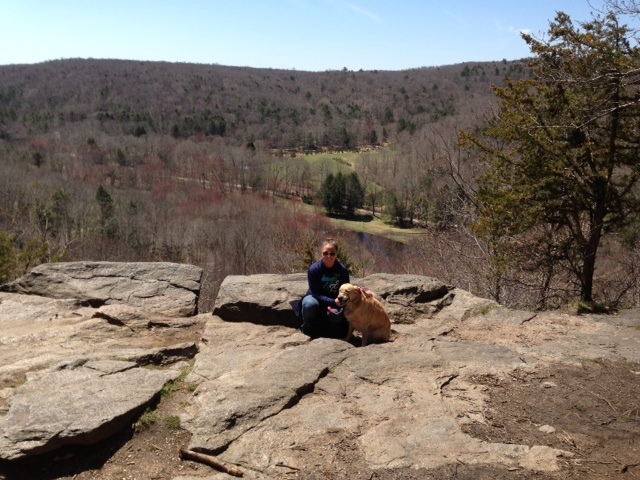 Over this past weekend, me and Taz went on a nice hike over at Devils Hopyard State Park in East Haddam, CT. The park was significantly further from my house than I expected. For some reason I thought it was only about 25 minutes away, but really, it was an hour. boooo. Anyways, it was absolutely gorgeous out, about 50 degrees without a cloud in the sky. Of course, being me, I always wish for it to be warmer, but hey, at least the sun was shining. 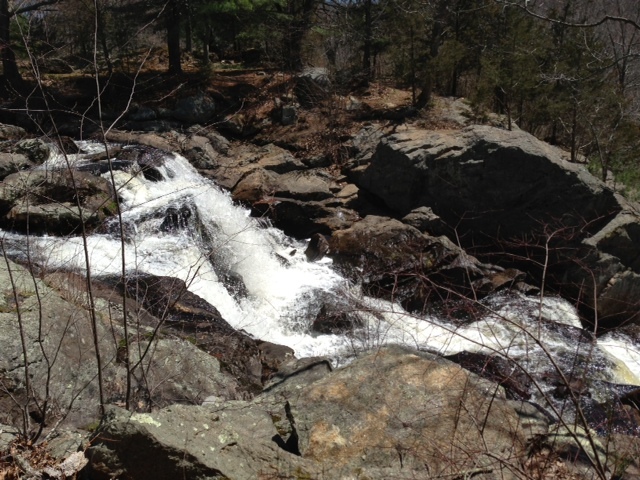 I had some major issues with this hike, which I’m sure does not come as a surprise. I started out on the Orange trail (which for some reason in my head I thought was the Yellow trail, which could have been part of the problem), and things were going well for a while, but after I hit the scenic overlook (see pic below), things got hairy and I got lost. Must have been those devils in the hopyard. 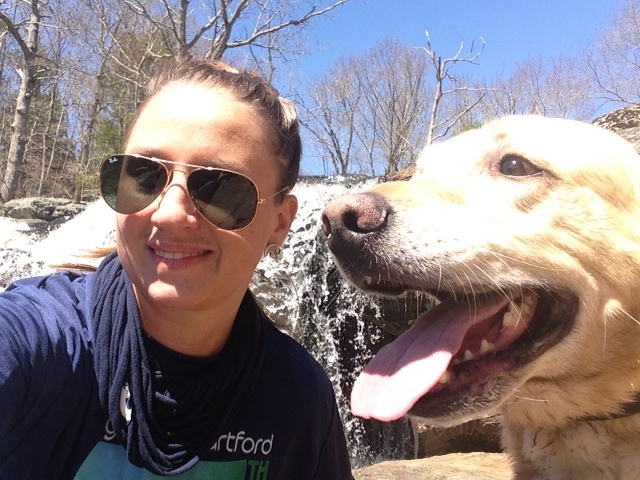 Anyways, Taz and I were hoping all over the dang yard…we kept thinking we were back on the path, but then the path would disappear again and we were basically just walking through the woods. 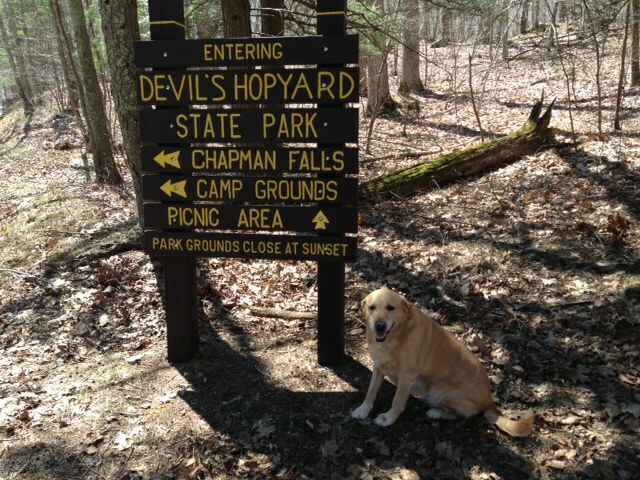 Posted on April 23, 2013, in 50 Hikes in CT, Bucket List, Hikes and tagged Connecticut, CT, Devil's Hopyard, Dog, east haddam, hike, lost, sun, Waterfall. Bookmark the permalink. Leave a comment.